In the fall of 2018, the School of Music will open the doors to a new recital hall. You are invited to play a part in this momentous chapter of our program’s history and to help define the future of music at Penn State. Will you please consider helping us shape that future? Establish a legacy of your support for our School of Music family by dedicating a seat in our new hall. The visually stunning recital space will hold more than 400 seats, all of which have been designed for acoustic excellence! Seats may be individually dedicated with an engraved plaque. Adding your name, message, or tribute on one of these plaques is a unique opportunity to support music at Penn State and will link your dedication to a facility that is sure to be become a Penn State landmark. 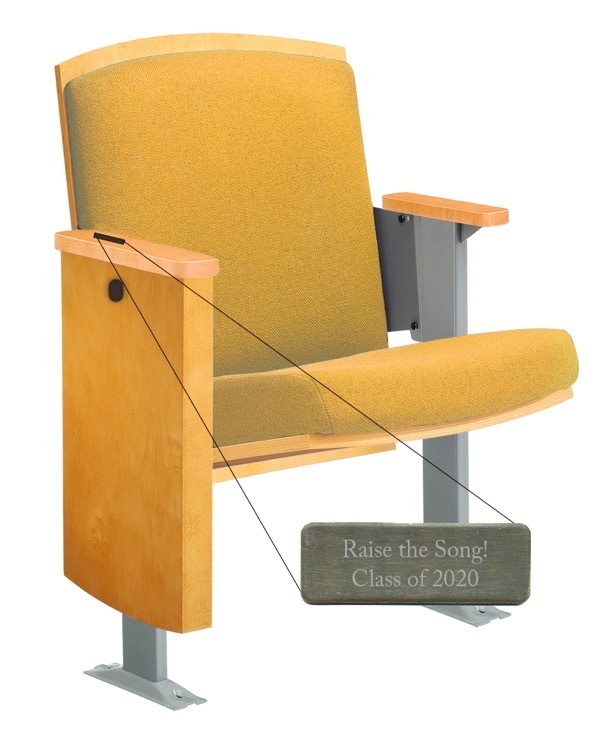 Seat plaques allow you to honor a former mentor, recognize a student or beloved professor, celebrate a performance group or club, or simply to align one’s name with this beautiful performance hall. Seat plaques can be engraved with a President’s Club-level gift of $2,500. And your gift will be celebrated with an invitation to a special concert once the hall is complete. All gifts will be directed toward support for scholarships and high-priority projects within the School of Music. We invite you to celebrate your connection with the School of Music and dedicate a seat in the new recital hall. Mark your legacy and help to fill the house with appreciation for Penn State artists past and present – and create real opportunity for future generations of Penn Staters. Sign up to stay updated on the new recital hall. Q. What can I put on my plaque? A. Your dedication may be up to 2 lines of 18 characters each. Q. Can I select a specific seat? A. Please call us and we will assist in your selection. While you are invited to choose a seat, selection will be subject to availability. A. Yes, it is 100% deductible. Q. Can I make my gift over time? A. Yes, gifts may be made in $500 installments over 5 years. Q. Can I make my gift as a payroll deduction? A. If you are a Penn State faculty or staff member, download and complete the Faculty and Staff Form to make a gift to the University through your paycheck. Retired faculty and staff may use the Penn State Retired Faculty and Staff Contribution Form to arrange either recurring or one-time contributions. Both forms allow you to designate your gift to the college, campus, or program of your choice. Send the completed form to the Office of Annual Giving, 2583 Gateway Drive, Suite 200, State College, PA 16801, or fax it to 814-865-8755. Q. What is the President’s Club? A. Membership in the President’s Club is offered annually to Penn State donors whose gifts total $2,500 or more during that fiscal year (July 1 to June 30). All supporters are eligible, and gifts paid in a current fiscal year count toward membership in that fiscal year. While planned or deferred commitments are not included in President’s Club totals, any outright gift may be counted, including cash, securities, support from family foundations and donor-advised funds, and matching gifts from employers. Q. Am I guaranteed to be able to sit in the seat that I dedicate? A. We are unable to guarantee that you will be able to sit in your dedicated seat(s). 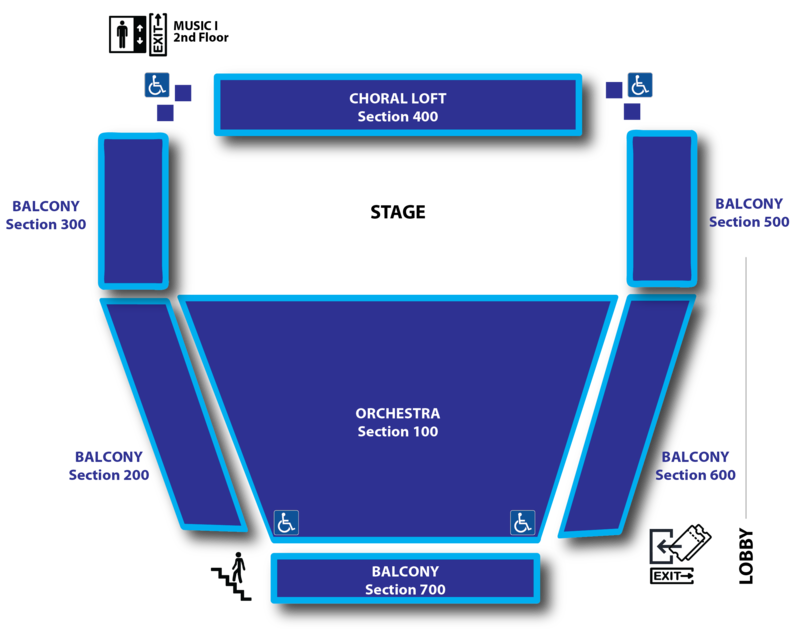 Seats are subject to availability and do not include any booking rights or advanced booking privileges. Q. Where will my gift be directed? A. All gifts will be directed toward support for scholarships and high-priority projects within the School of Music. Q. Can our string quartet make a collaborative gift? A. Yes, any group can make a collective gift as long as it is made in one transaction. Q. Who do I call to find out more? A. Please contact Robyn Krause-Hale in the Arts and Architecture Development Office, 814-863-2142, email RecitalHallSeat@psu.edu.